Safety cultures to not spontaneously occur. Safety cultures are nourished by operating managers who set high standards and who foster trust and interdependence within their organization. This requires freely flowing information that people at all levels in the organization can find, analyze and use to keep their hazardous materials and energies under control. It is hard, relentless work, requiring discipline on the part of the whole organization, including the front line supervisors, engineers and hands-on employees. 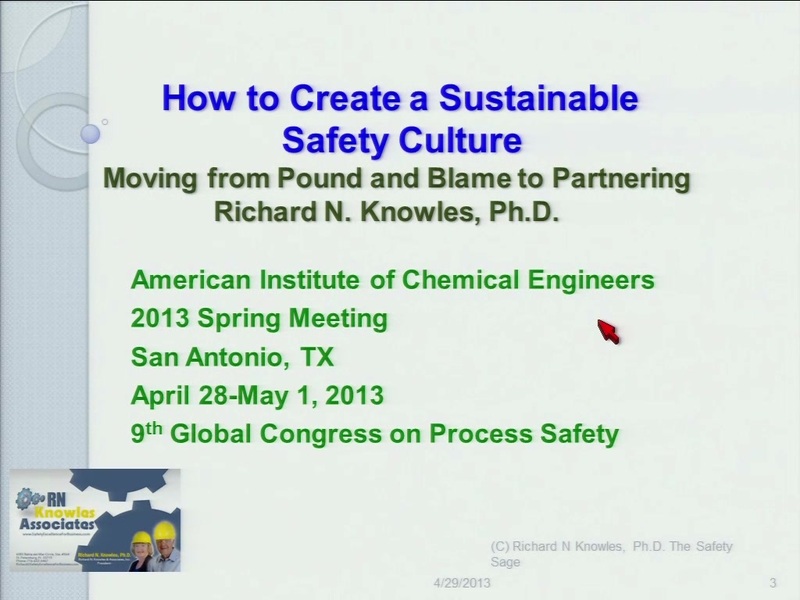 This paper presents an operating manager’s experience on how he evolved his “pound and blame” managerial culture into a “partnering” culture and successfully improved the organization’s safety performance on both the plant’s personal safety and process safety metrics. This effort contributes to the well-known “business case” argument for a robust process safety culture, as measured by the significant increase in the plant’s operating profit and corresponding process safety-related improvements.